14. The Stuart Diamond: With a history that begins at the English court of King William III and Queen Mary, this light blue-green, 39.75 carat diamond is one of the most important pieces in the Dutch royal collection. 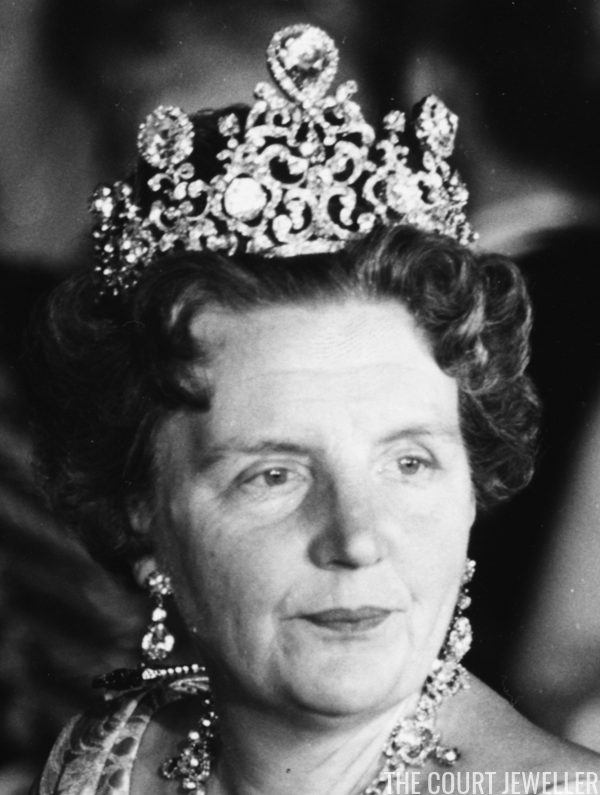 For a century, it's been set in a tiara (worn above by Queen Juliana), but it hasn't been seen in public in decades. 13. The Dresden Green Diamond: Part of the Saxon crown jewels, this remarkable green diamond weighs in at 40.70 carats. 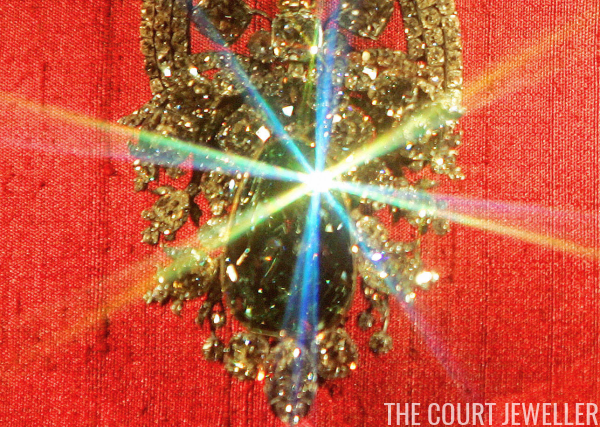 It's on display today, set in a hat clasp ornament, in the New Green Vault at Dresden Castle. 12. The Sancy Diamond: This 55.23 carat pale yellow diamond has a lengthy royal history; at various times, it was part of the crown jewel collections of Portugal, France, and England. Nancy Astor wore it in her grand diamond tiara a century ago, but today, it is on display at the Louvre Museum in Paris. 11. The Noor-al-Ain Diamond: This pink diamond, which weighs approximately 60 carats, was originally mined in India. The "light of the eye" was captured by an 18th-century Persian king and has been in Iran ever since. 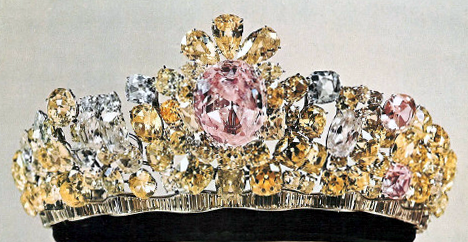 Harry Winston set it in a tiara for Farah Pahlavi in 1958; that tiara is on display today at the Central Bank in Tehran. 10. 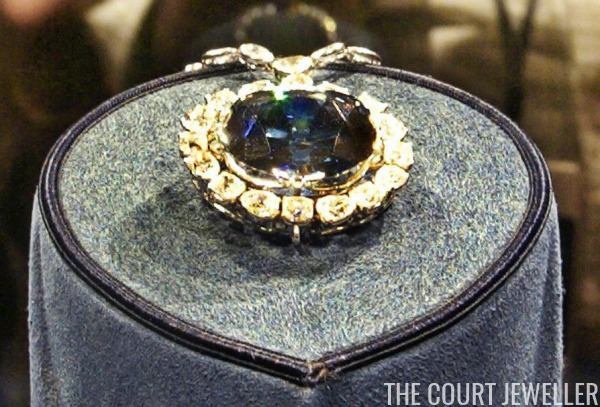 The Hope Diamond: It's generally believed that this famously "cursed" diamond is actually the French Blue, which belonged to the French royal family until it was stolen during the Reign of Terror. 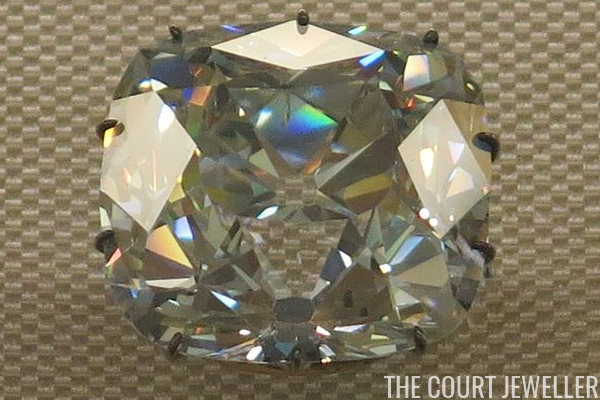 Originally measuring 67.125 carats, the stone was later cut down to its present size, 45.52 carats. Today, it's on display at the Smithsonian Institution's Museum of Natural History in Washington, D.C.
9. The Archduke Joseph Diamond: This 76.02 carat diamond takes its name from its first recorded owner, Archduke Joseph August of Austria. Sold just before World War II, the diamond has been auctioned several times, and is now in a private collection. 8. 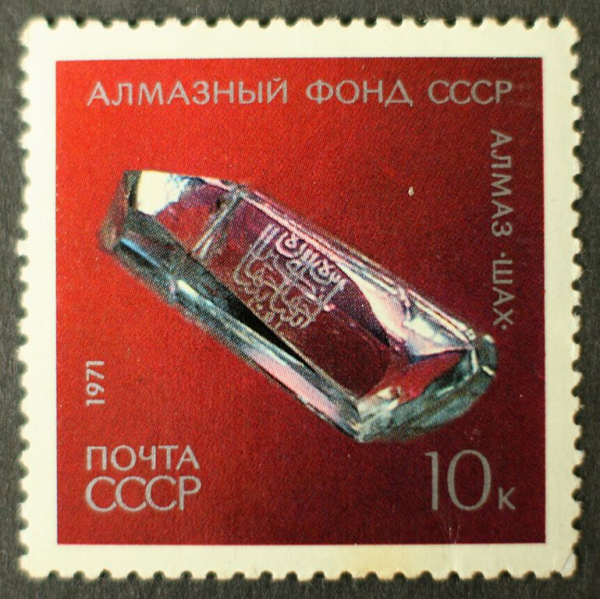 The Shah Diamond: The Russian Diamond Fund, which is housed in the Kremlin, includes this unusual diamond. Weighing 88.7 carats, the stone is engraved with the names of three of its owners in Persian. It arrived in the Russian imperial jewel collection as a goodwill offering (or bribe, depending how you look at it) in 1829. 7. 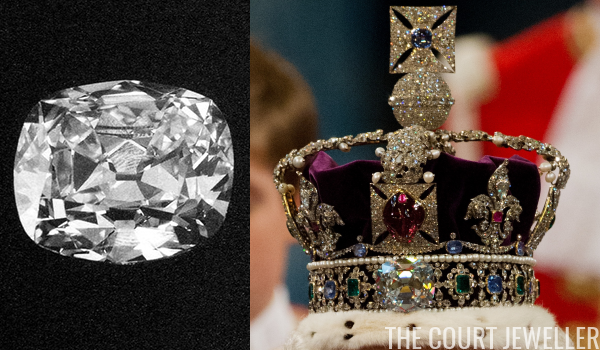 The Koh-i-Noor Diamond: Today, this diamond (whose name means "mountain of light") lives in the Tower of London, where it is set in the Queen Mother's Crown. 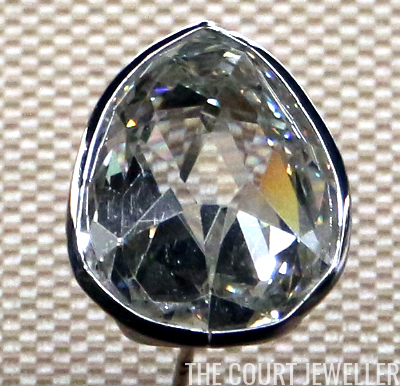 Queen Victoria received the gem as a gift in 1849, although the terms of that offering are still controversial today. 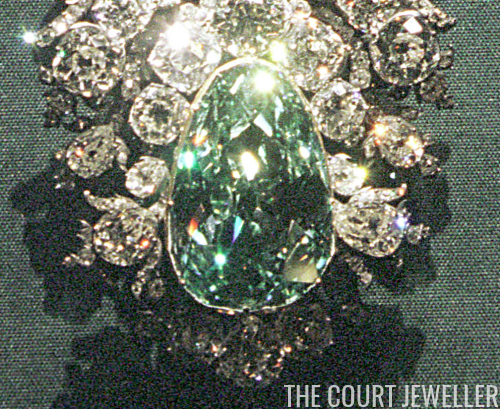 Prince Albert had the stone recut to its present weight, 105.602 carats, in 1852. 6. 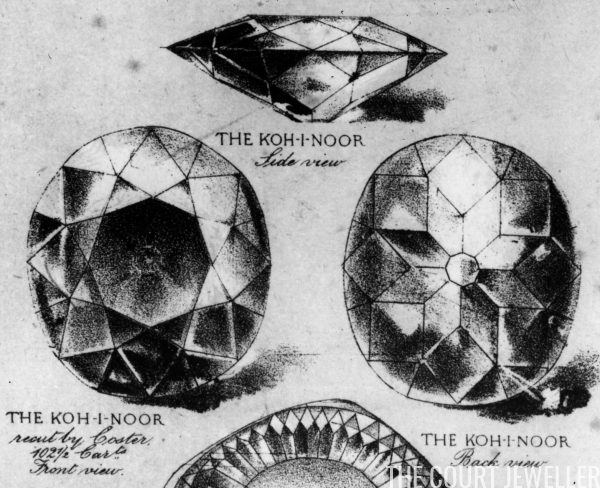 The Regent Diamond: An English merchant, Thomas Pitt, sold this diamond, which was mined in India, to Philippe, Duke of Orleans (then the French Regent) in 1717. The 140.64 carat diamond was worn by various French kings -- and Napoleon Bonaparte, too -- and eventually set in a tiara for Empress Eugenie. Today, it is on display in the Louvre Museum in Paris. 5. The Darya-i-Noor Diamond: Another gem from the crown jewel collection of Iran, this pink diamond (whose name means "sea of light") weighs about 182 carats. It's on display today at the Central Bank in Tehran. 4. The Orloff Diamond: The Russian Diamond Fund also includes this incredible 189.62 carat diamond. 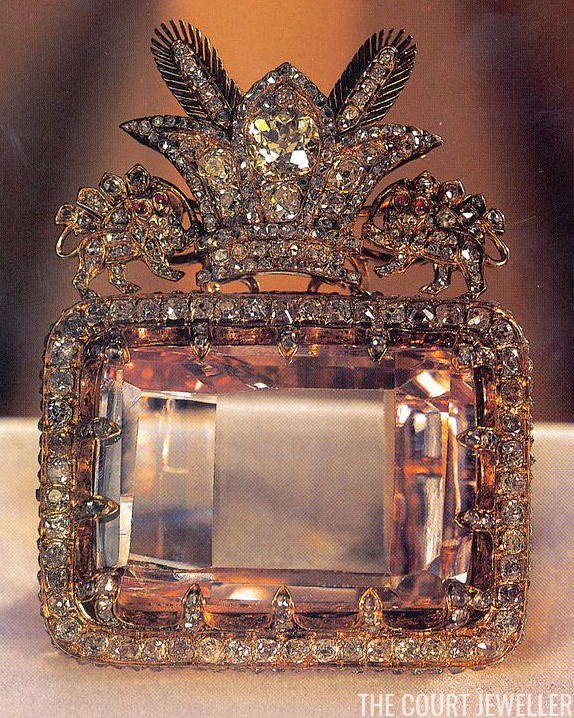 It was presented to Catherine the Great by one of her lovers, Count Grigory Orloff. 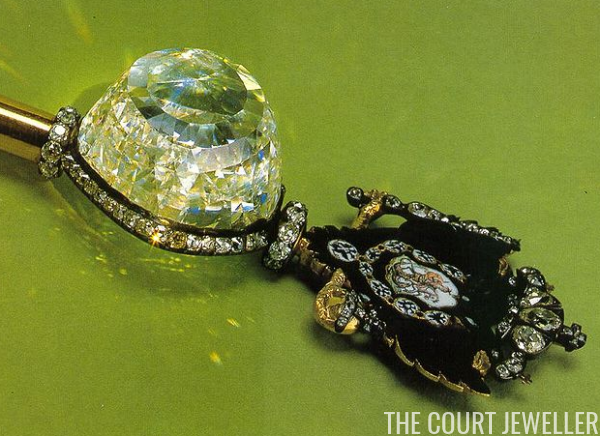 She had a scepter constructed specifically for the diamond in 1784. 3. 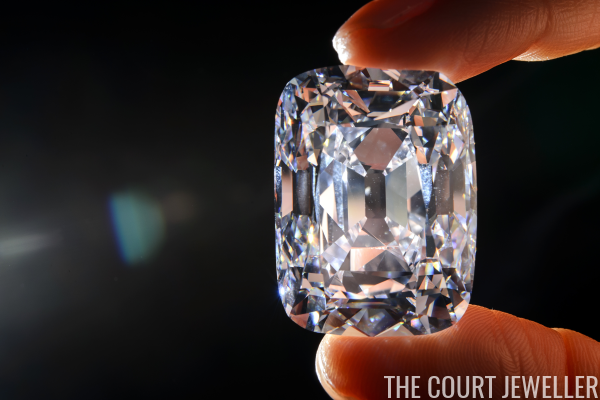 The Cullinan II Diamond: One of nine major diamonds cut from the gargantuan Cullinan Diamond, the Cullinan II weighs 317.4 carats. Also called the Second Star of Africa, the diamond is part of the British crown jewels. You can see it at the Tower of London in the Imperial State Crown, where it's set just below the Black Prince's Ruby. 2. 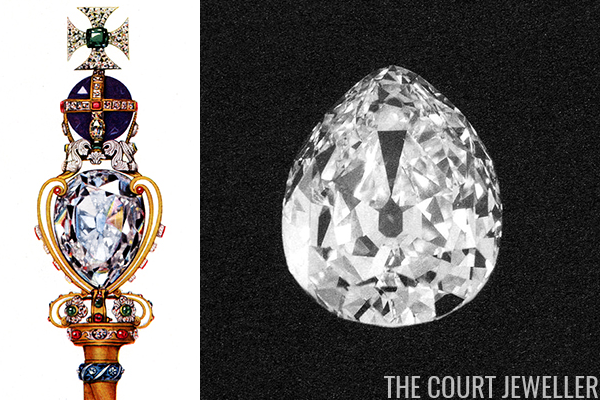 The Cullinan I Diamond: The largest of the diamonds sourced from the Cullinan, this stone measures 530.2 carats. It's the largest clear cut diamond in the world. Also called the Great Star of Africa, the diamond is set in the Sovereign's Sceptre with Cross, which resides at the Tower of London with the rest of the British crown jewels. 1. 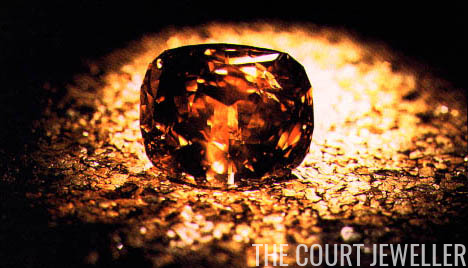 The Golden Jubilee Diamond: The largest cut diamond in the world, this yellow-brown stone clocks in at 545.67 carats. It was offered to the late King Bhumibol Adulyadej of Thailand as a Golden Jubilee gift, and it's still a part of the Thai crown jewel collection today.